Evolution Gaming, has announced that it has signed an agreement with Olympic Entertainment Group (OEG). 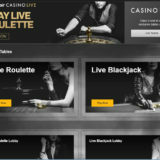 The agreement will see Evolution’s core Live Casino games offering on desktop, tablet and mobile added to OEG’s online gaming websites including Olybet.com and, potentially, converging with services at OEG’s land-based venues. 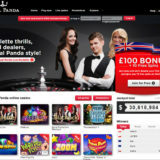 Olympic Entertainment Group with its subsidiaries is the market-leading provider of gaming services in the Baltic states and also operates casinos in Poland, Slovakia, Belarus, Italy and Malta. OEG shares are listed on the Tallinn and Warsaw Stock Exchanges. Currently the Group has a total of 125 casinos and 33 betting shops, with 3,260 employees in eight countries. “As the leading brand in the Baltics, and with a growing casino estate across central southern Europe, our vision is to be a global casino and resort operator. It is logical, therefore, to work with the largest supplier of Live Casino services. Evolution will give us a remarkable choice of games and tables across multiple devices from day one. 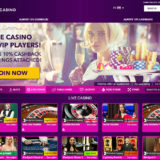 “We are delighted to sign a service supply with one of the most established casino operators in Europe with Olybet already showing strong presence online. Not only will Olympic Casino and Olybet have access to our complete core offering to strengthen their live dealer product, they will also have the flexibility to extend that offering with native speaking tables and dedicated environments tailored to specific markets.